Positive Thinking improves physical and emotional health. Positive thinking improves physical & emotional health. 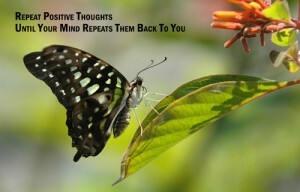 Positive thinking improves physical & emotional health. Learn how to rewire your brain by replacing negative thoughts with positive thoughts to improve your health. Have you ever wondered why negative thoughts are often overwhelming and at the fore front of your mind? The reason may surprise you. Humans are naturally wired that way. It is a defensive mechanism that mankind has used since we were hunters and gatherers, always scanning for threats. Although we are naturally wired this way, we have learned over the past 30 years that the brain has the ability to change in both structure and functional organization. This dynamic process is called neuroplasticity. An example of neuroplasticity at work can be seen in a person who has suffered a stroke and has lost partial or complete motor function and/or cognitive function. Because we have the ability to rewire (retrain) our brain with cognitive and physical rehabilitation, we are able to regain function(s) once lost. In this article you will learn how positive thinking improves health and how to start rewiring your brain by replacing negative thoughts with positive thoughts. How can positive thinking improve my health? How do I rewire my brain to replace negative thoughts with positive thoughts? Practice steps 1-5. Retraining your thoughts and rewiring your brain will require practice. Love yourself and respect the journey. 1) Be Aware. Be aware of your negative thoughts and what triggers those negative thoughts. Allow yourself time to peel back the layers of the negative influences in your life. Identify changes that need to be made. 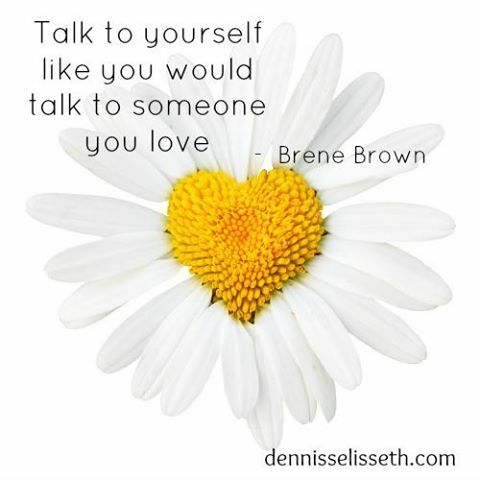 Have self-compassion and allow yourself to change. Be aware of how practicing positive thinking benefits the mind and the body. Knowing these benefits can help motivate you to practice on a daily basis. 2) Take responsibility of your actions. The average person has about 70,000 thoughts per day. You can control your thoughts and your actions. If you have given others control, start taking it back one person at a time. It will become easier as you begin to set boundaries and gain confidence. 3) Make a plan. Make a plan to make time for yourself. Start by giving yourself 5 minutes every day; recite a daily mantra or daily devotion or affirmation (examples below). Soon you will find that you have more time for yourself than once thought. Personal time is yours, you deserve it. Start your day by reciting a mantra or daily devotion or affirmation, doing this will activate chemical processes that rewire the brain as well as set a positive tone. I am attracting powerfully positive and healthy people into my life. I am deserving of all the good things in my life. I let go of the past so I can create health now. I give myself permission to rest and heal without guilt. I will no longer give my power away to those who try to control and manipulate me. I own my own power and take responsibility for the choices and decisions I make every day. I deserve happiness. I choose to be happy. Create your own affirmation: Affirmations are positive statements of a desired outcome or goal. They are usually short, believable and focused. By repeating them over and over again, you change neural pathways and synapses in your brain and open up a new state of thoughts. 5) Enjoy. 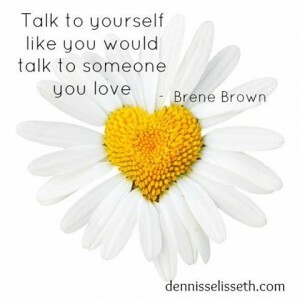 The more you practice positive self-talk exercises the easier it will be as your brain begins to rewire its self. Better Health. Better Life. -Written by Sean Shoemaker RN, LMT at Natural Medicine and Rehabilition. Better Health. Better Life. Natural Medicine and Rehabilitation provides healthcare that incorporates key aspects of traditional and complimentary medicine that are fundamental to true long-term health. The primary focus of healthcare at NMR is on clinical nutrition, stress tempering techniques and education as well as physical rehabilitation and reconditioning. These core services are the pillars of the “Triad of Health” which include your Nutritional habits, Mental outlook and Reconditioning exercises. It is the consistent choices that we make in these areas that will have the most significant impact on our health. The Triad of Health looks at a patients overall health picture to help them achieve Better Health. Better Life. Call 908.252.0242 to make an appointment for a complimentary consultatoin with Dr. Sferra to learn how our holistic approach can help you achieve better health.